On the first official day of Summer, this 14 foot Basking Shark was recorded swimming in the Pocasset River. In the video, it looks like the shark ran itself aground but was able to swim away. 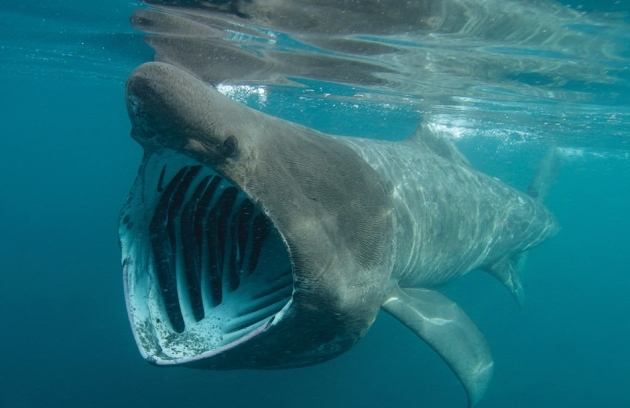 Fortunately, Basking sharks are completely harmless, unless you get whacked by its tail! This happened to be a small animal for this species, as these sharks can grow to be 20-26 feet on average and upwards of 35 feet for large animals. The Basking shark is a filter feeder, feeding on zoo-plankton, small fish, and invertebrates, and is the largest fish in the ocean behind the Whale shark. It might be harmless but it’s scary nonetheless!